The Links Hotel is just a 5-minute walk from Skegness beach and 10 minutes’ to its town centre. 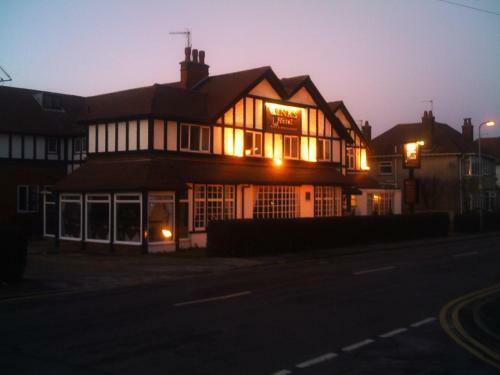 It offers home-cooked food, cask ales, regular live entertainment and free parking. The Links is a period building in a quiet residential area of Skegness. The en suite rooms at the hotel all include TVs and tea/coffee making facilities. Traditional hearty cooked breakfasts are served every morning and traditional English meals are served throughout the day. The bar area has a stone fire place, exposed wooden beams and a wide variety of beverages. Free Wi-Fi is available in the public areas of the hotel. Skegness Golf Club is less than 5 minutes’ walk away, whilst the town centre has plenty of souvenir shops, pubs and restaurants serving freshly caught fish.